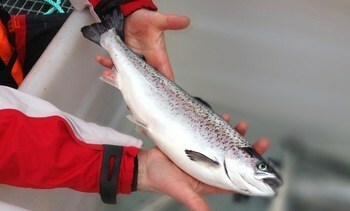 Scotland’s biggest salmon and trout producers have united in a bid to extend the usage and efficacy of two of the most environmentally-friendly sea lice treatments. 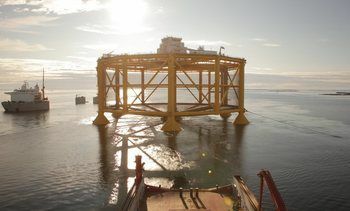 Sea lice in the world's first offshore salmon farm, Ocean Farm 1, were expected and do not require special measures, according to Trond Williksen, chief executive of the facility's owner, Salmar. 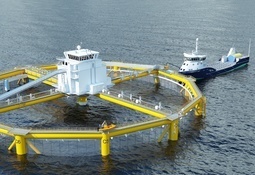 Ocean Farm 1, the experimental offshore cage farm operated by Scottish Sea Farms co-owner Salmar, has had 21,500 cleaner fish added to combat sea lice. 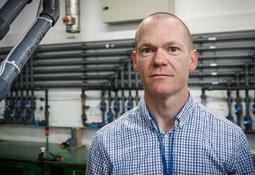 A group of Norwegian scientists have concluded that a mutation which makes sea lice resistant to the organophosphate pesticides azamethiphos was not caused by over-use of the chemical, but already existed. 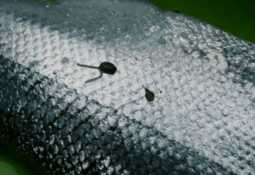 Salmon farmers' spokesman Scott Landsburgh has acted to "set the record straight" after weekend newspaper headlines that reported salmon "crawling" with sea lice. 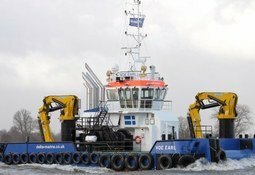 A multi-purpose tug that was used to help salvage the Italian cruise liner Costa Concordia has a new role, as a Thermolicer platform for Marine Harvest Scotland. 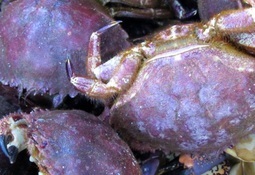 Four of the most commonly used anti-parasitics against sea lice proved to be lethal at low concentrations for crab larvae, Chilean scientists said. 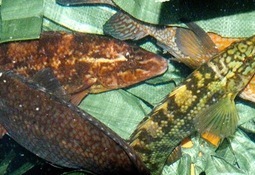 Genetic variations enable different lice families to tolerate different amounts of fresh water and hot water, which are both used for delousing of farmed fish, researchers have discovered. 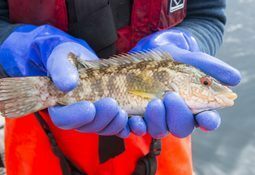 A new company is aiming to change the way the salmon industry combats sea lice with a device that attracts and captures the parasites before they reach fish cages. 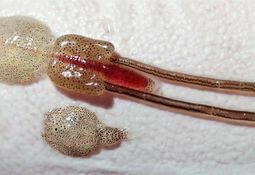 Researchers at the University of Maine in the United States have received modest funding to evaluate an alternative to current industry practices in combating salmon lice. 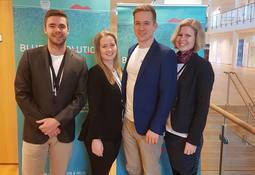 Researchers in Norway will develop a four-year project intended to acquire the necessary knowledge for the correct feed and the nutrition needed for cleaner fish to survive and become more efficient salmon lice-eaters. 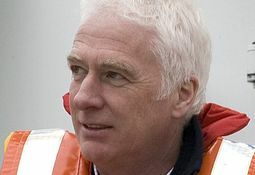 Scotland's salmon industry is to commission new research after questioning the decision of the Scottish Environmental Protection Agency (SEPA) to cut back on the use of sea louse treatment emamectin benzoate (SLICE) by 60 per cent. 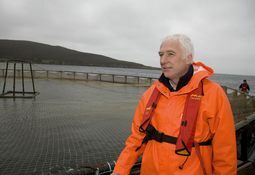 A new report for the Scottish salmon farming industry shows a dramatic decrease in the spend on medicinal treatments against sea lice. 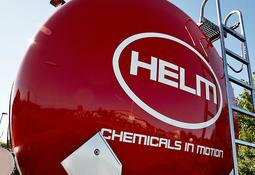 Mechanical delousers and cleaner fish are increasingly coming to the fore in fish farming but two German companies are putting their money on a continuing demand for hydrogen peroxide to combat lice.